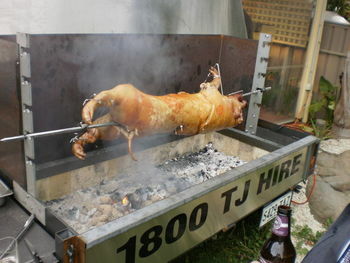 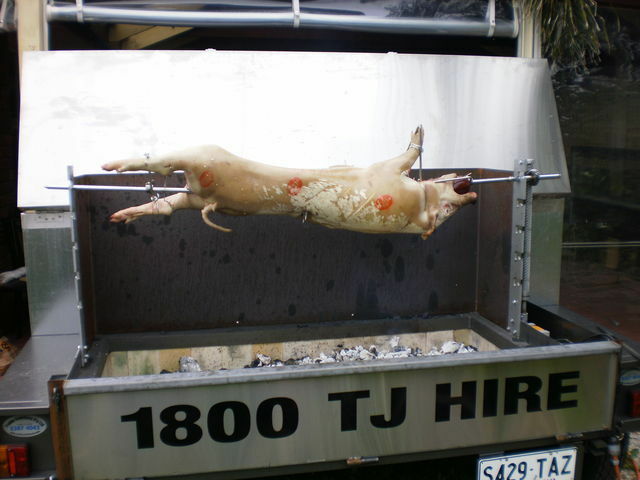 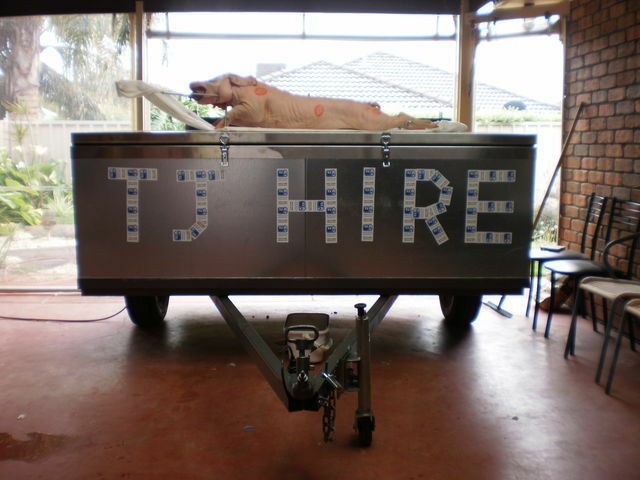 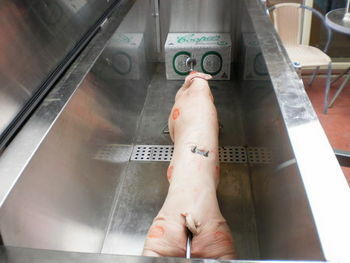 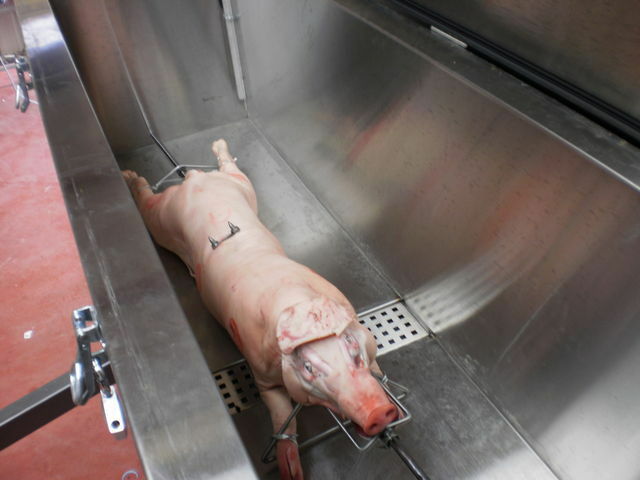 If you don't have a ute or a trailer to transport a spit, we have the answer for you. Trailer mounted spit, with a 7ft' wide esky at the front big enough to carry an entire carcass or 20 cartons of beer. The heat shield provides protection from the spit so you can have your meat cooking on the rear of the trailer and at the front keep your beverages cold. 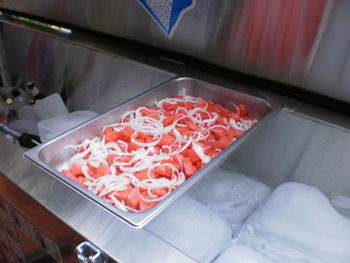 The top of the esky is designed to fit a full size bainmarie tray, 6 wide across to serve and keep your salads cold. "Summer and the festive season is here, there a lot of parties and events coming up. 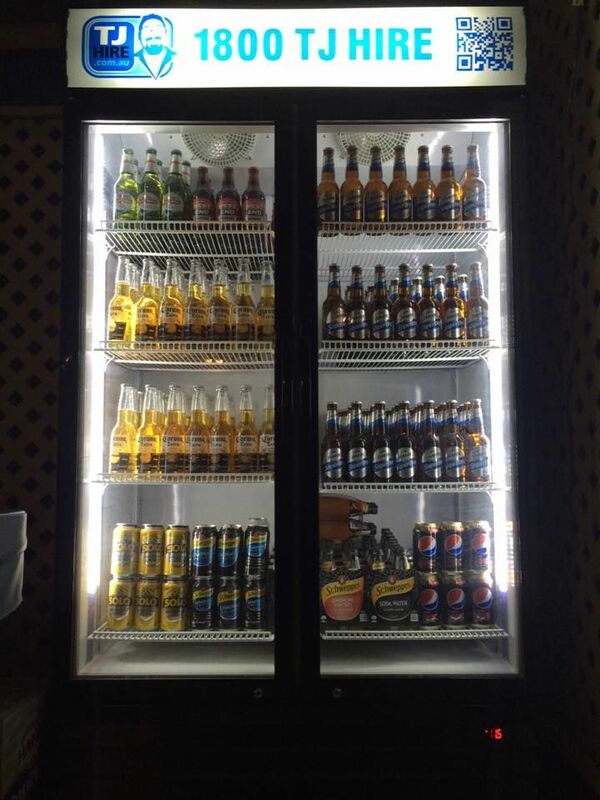 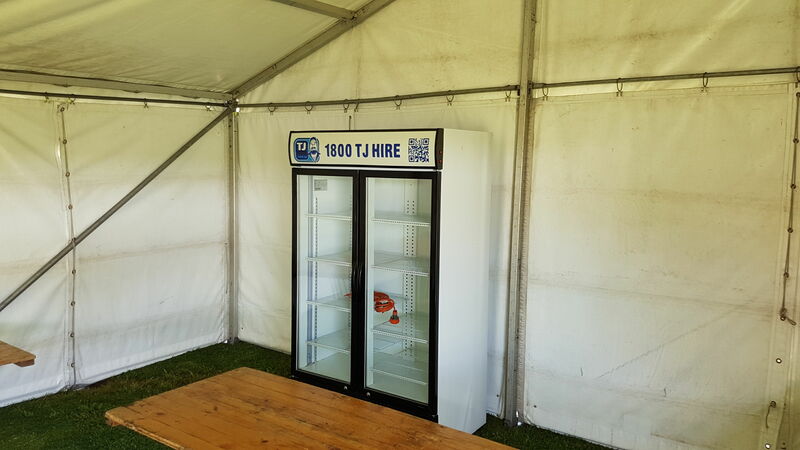 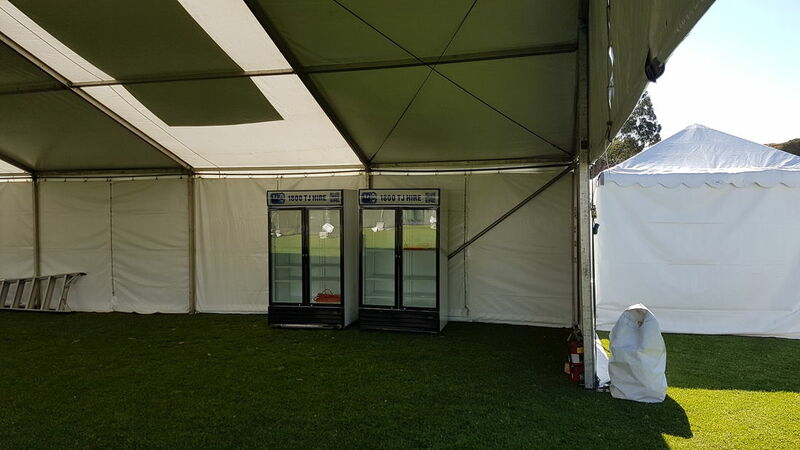 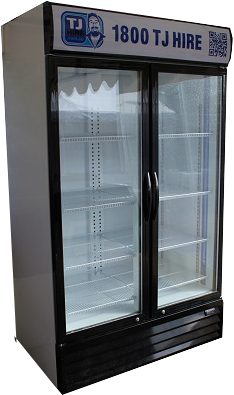 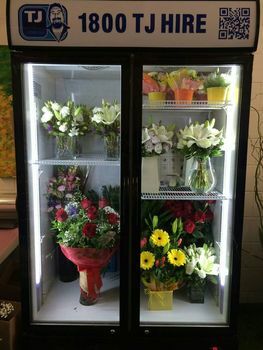 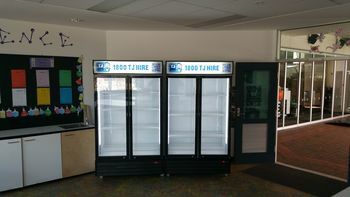 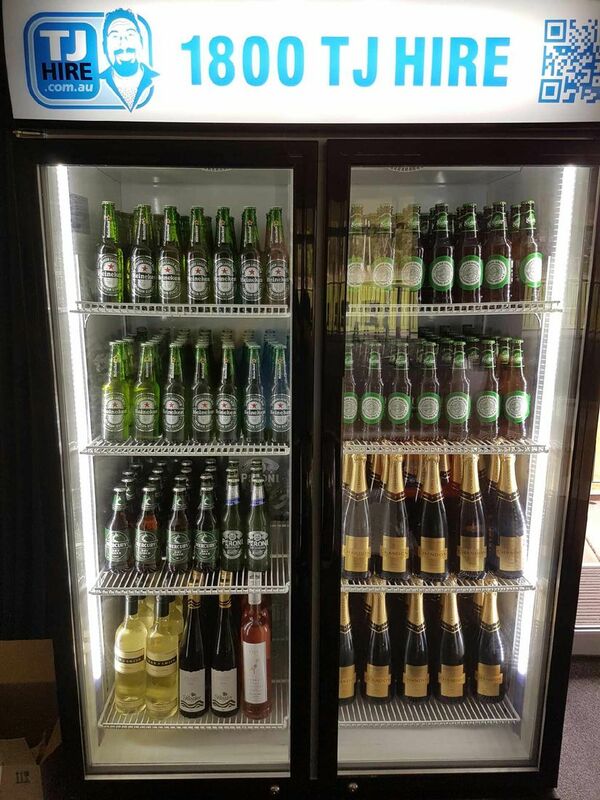 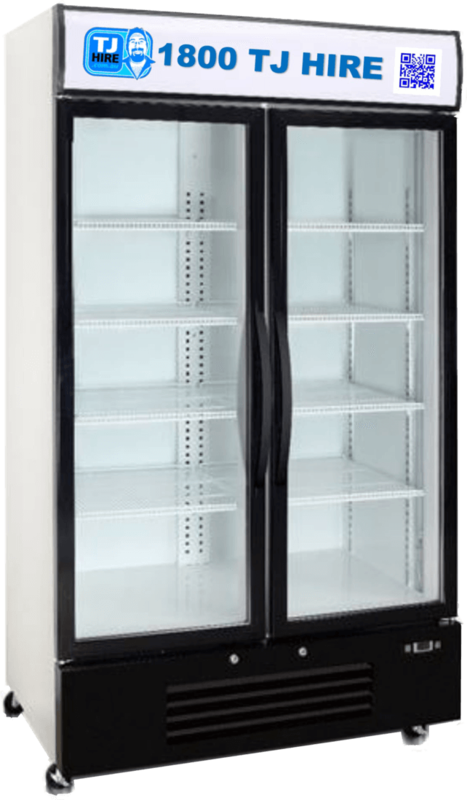 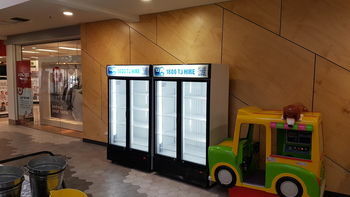 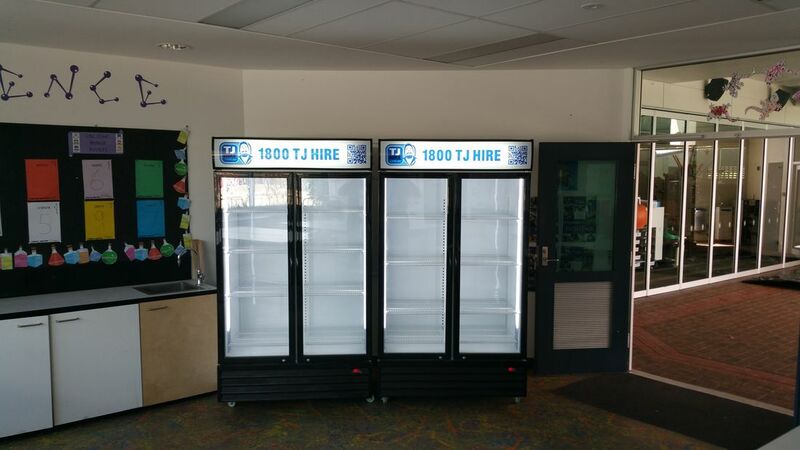 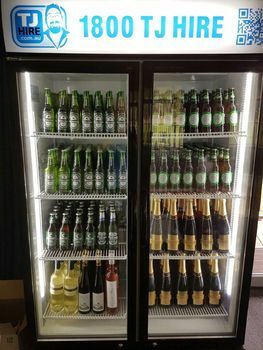 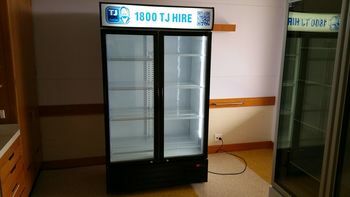 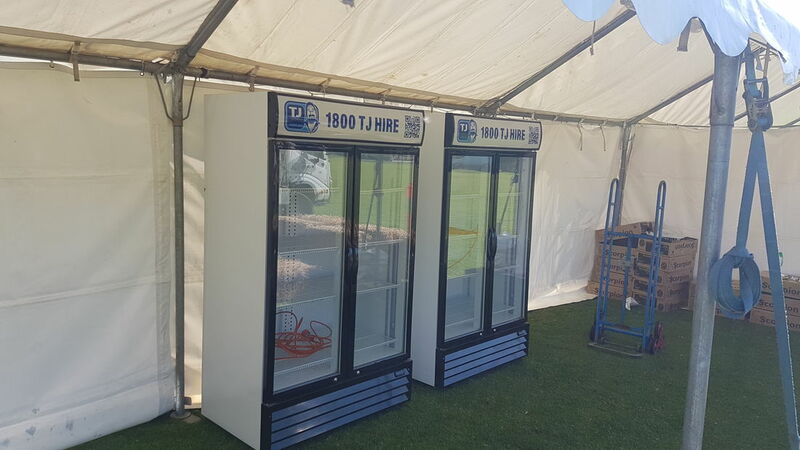 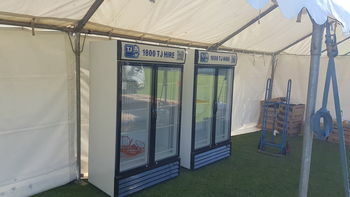 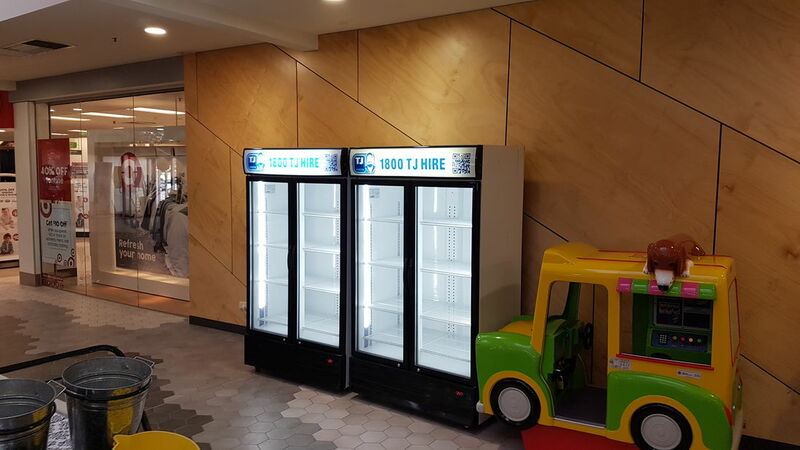 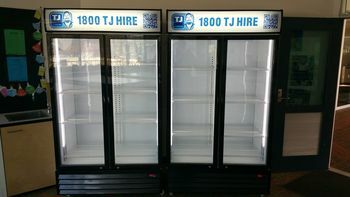 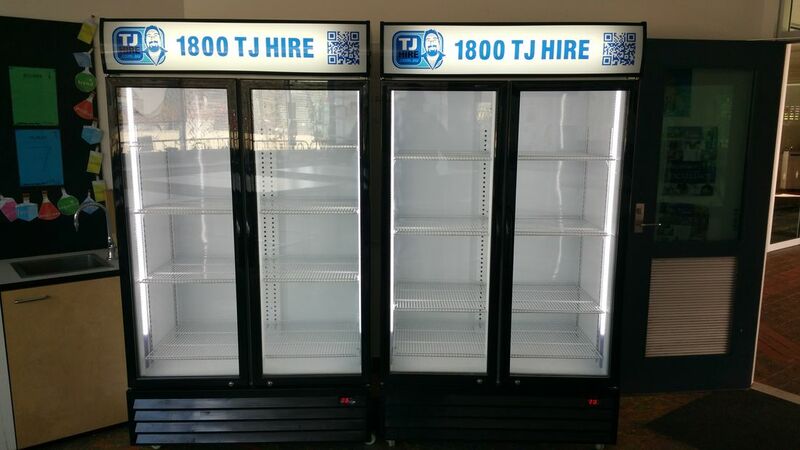 Hire yourself a 2 door glass display fridge. 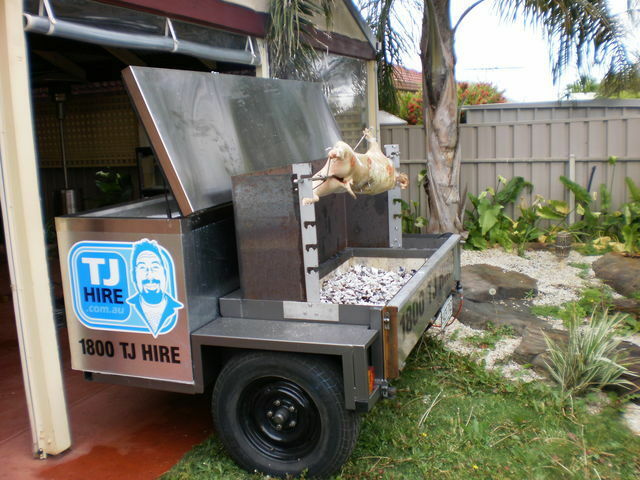 And give that party a bit of a wow factor." If you want to reduce the amount of eskies at your party. 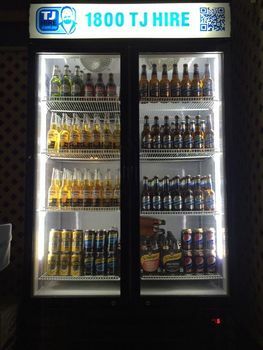 Have your drinks on display for you and your guests. 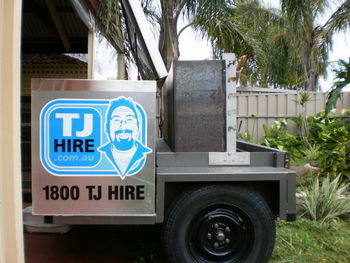 If BYO applies to your party guests it's great solution if they don't have an esky or forget to bring theirs. Keep your food cold, prep up your meat ready for the BBQ. 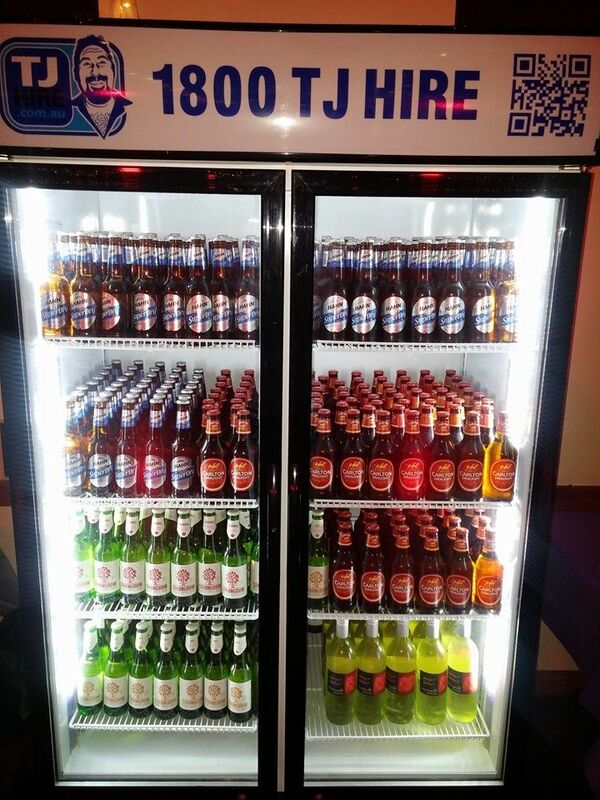 All in the one fridge with your drinks ready to cook and have a cold beer while turning a snag or chop. 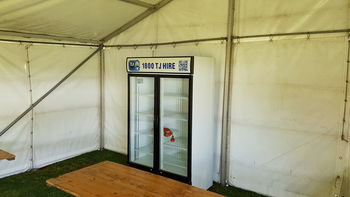 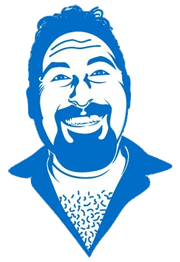 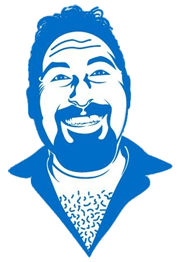 Saves you buying ice if you add up the collective spend on ice from yourself and all the guests it's not that much more to hire the fridge. 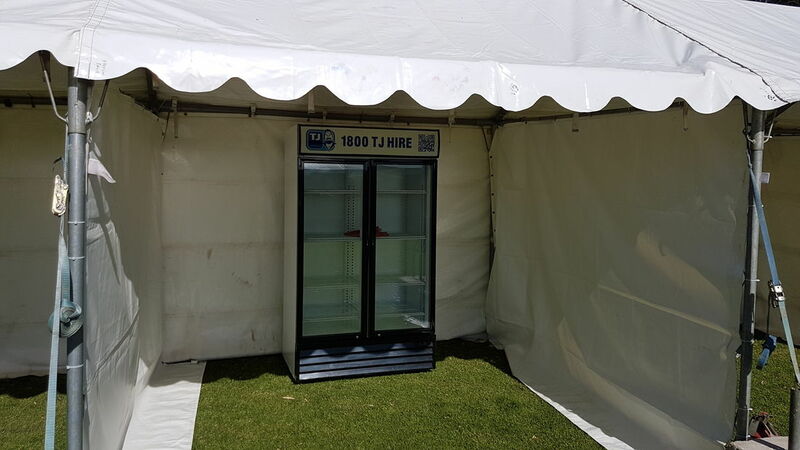 On hot days drinks and food can get wet especially when ice is placed in an open top (non-insulated) buckets or plastic containers. 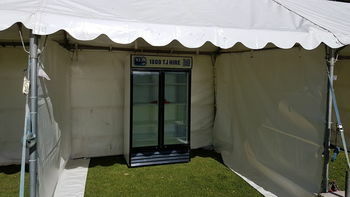 Your items are kept dry, especially drinks are crisp and cold but not dripping with water.